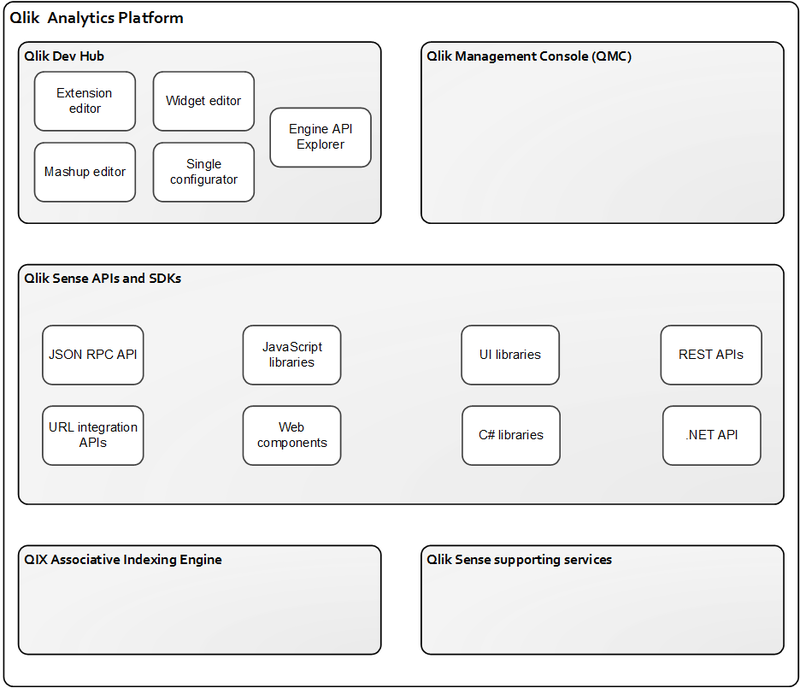 The Qlik Analytics Platform is a developer platform for building custom analytic applications based on rich frontend and backend APIs. It gives you full API access to the Qlik engine to build rich and smart data-driven analytic applications. You can take advantage of the Qlik Analytics Platform and build web applications for extranet and Internet deployment, for example.